I’m basing my choice more on nostalgia than anything else, I realize, but Super Mario Bros. 2 remains my favorite video game — not just of the eight-bit era but of all the eras of hopping and bopping. I’ve probably written about it here more than any other video game, and its look — peculiarly Arabian, and an odd fit even among the always-surreal Super Mario games — grabbed ahold of me in a way no other game aesthetics ever did. Unfortunately, the rest of the world doesn’t agree, and it rarely gets the love from fans or industry types that the first, third and fourth Super Mario games get. That’s slowly changed in recent years, what with a quietly Super Mario Bros. 2-themed track in the newest Mario Kart game and Donkey Kong Country Returns concept art that shows the develops had planned a major shout-out, at least in the early stages. 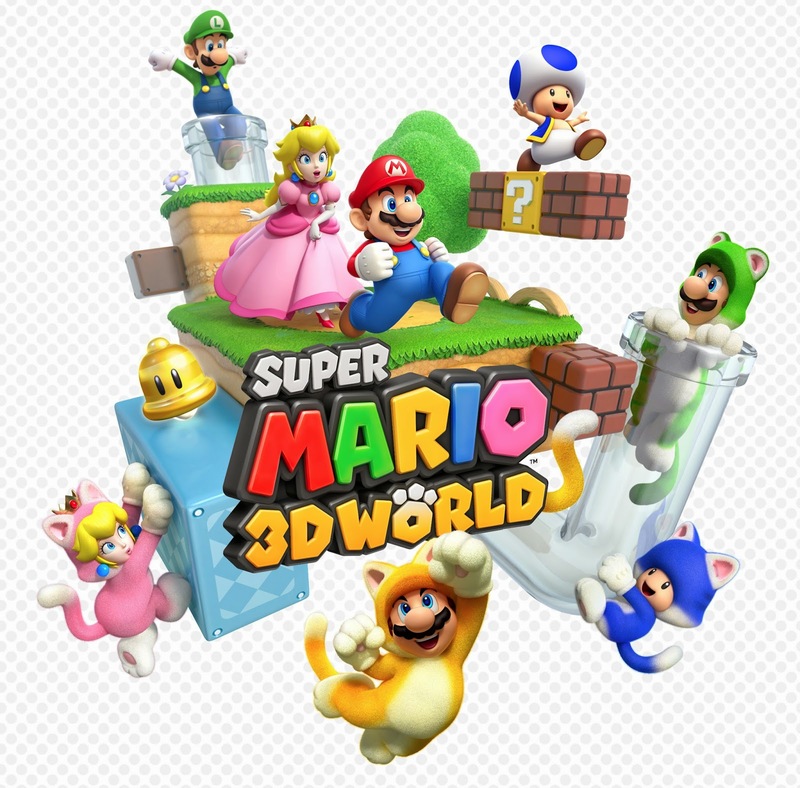 But Super Mario Bros. 2 may yet get a second moment in the spotlight — in the form of Super Mario 3D World, an upcoming Wii U title that features Mario, Luigi, Peach and Toad as equally playable characters for the first time since Mario 2 was released in 1988. (Yep, Peach hasn’t gotten a chance to star in a regular, platforming, non-sports, non-RPG, non-kart-racing Mario game in twenty-five years. In a 2009 interview, Shigeru Miyamoto blamed the prohibitively complicated nature of animating her dress as she moves about.) 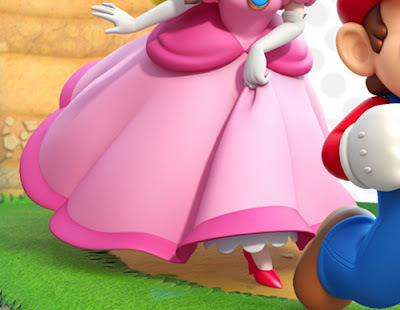 I did always like playing as Peach, especially in a “real” Mario game, as opposed to just a spin-off, and there’s something awesome about the idea of her getting to do everything Mario can. In heels, no less, Ginger Rogers-style. 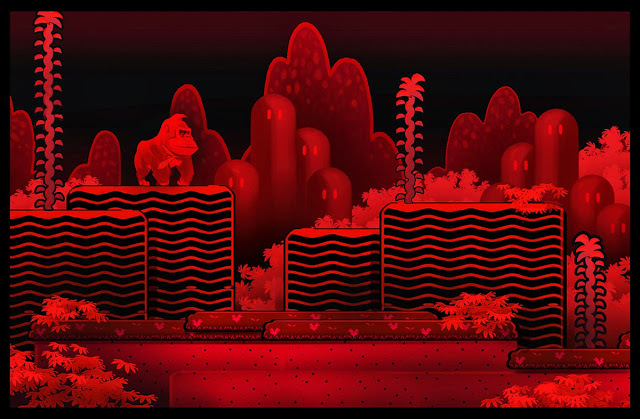 So far, however, Nintendo hasn’t specifically stated that Super Mario 3D World was intended as a big Mario 2 callback, but I’m starting to think it is, for one specific reason: this image. 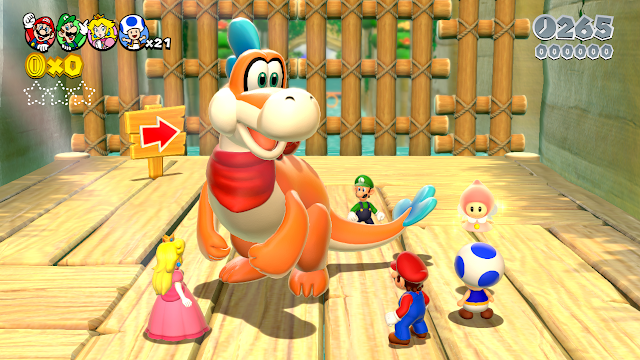 Not the orange, Yoshi-looking dragon, but the pink character flitting above Toad. 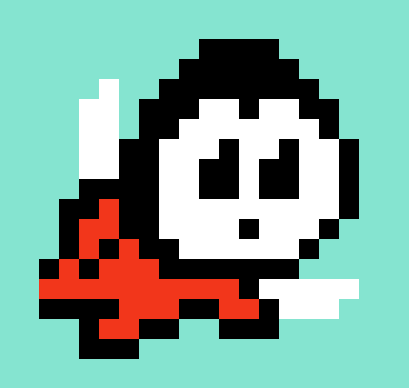 Unless I’m way off, I think Nintendo has brought back one of the most obscure characters in the history of the Mario games: the Subcons, the little fairy things you rescue at the end of Super Mario Bros. 2, whose identity is complicated by the fact that the share their name with the setting of the game. They’re Subcon. They live in Subcon. It’s weird, though I suppose no weirder than the Vulcans being from Vulcan. 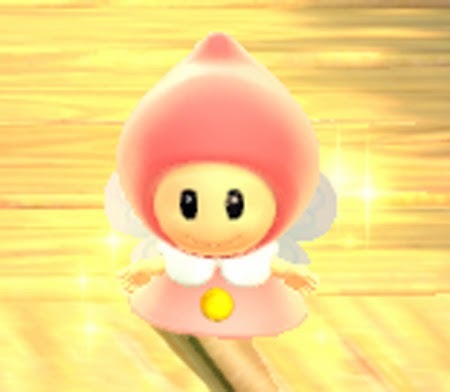 The resemblance isn’t dead-on, but that pink character easily could be the result of some Nintendo designer wondering how those fairies might look twenty-five years and five console generations later. (She is a bit closer to the thumbnail-sized official artwork you see here.) And I suppose I’ll find out if I’m right soon enough, but for now I’m just happy thinking someone at Nintendo might feel as strongly about Super Mario Bros. 2 as I do. And that’s gratifying enough: just the possibility that I’m being catered to, that someone else still remembers these obscure characters that meant a lot to me back when I was a kid and maybe still do. I love how Wart is bleeding under his eyes. And this is apparently just from eating vegetables. I've been saying this every since I saw the screenshots months ago. It looks pretty obvious to me. 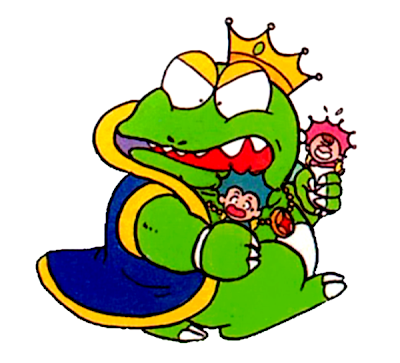 But do you think Wart will also be in this game? I do, but more recent news makes me think that's not happening. Agreed. Even though there are a lot of traditional Mario enemies (Goombas, Bullet Bills, etc.) and the pick-up-and-throw mechanic isn't really any more emphasized than in any other Mario game as of late, I will absolutely squeal with glee if Wart turns out to be the big bad behind everything. As it is, I at least hope they keep Peach playable, at least more often. At first, she got kidnapped a bit. It wasn't even the plot of SMB3, just something that happened before the final level. Then her being kidnapped became a joke, then the games kept doing it because it seemed to be expected because everyone joked about it. Now, the joke is no longer funny, and I think everyone's just tired of it. There's a desire for better female representation in gaming, and I think improving Peach is a great place to start. I think if she, practically the unofficial mascot for the entire issue, is no longer a punchline, it will help the entire thing as a whole. As for plots? There's plenty they can do. Bowser's transformed kings and kidnapped dinosaur eggs, and he can even steal Christmas and I'll play the game just the same. Well, there's the sequel to Donkey Kong Country Returns. That has vegetable plucking and tossing as a game mechanic. As for Peach, yeah, it would be cool if she got more to do. I'm 99 percent positive that she's the most popular character in any game series ever. It would be nice if she earned that honor by being more than a frequent captive. DKC:TF does have that, but it's not quite the same. As you may or may not know, Peach starred in a DS game called Super Princess Peach, a platformer with puzzle and minor RPG elements that sees Peach traverse Vibe Island to rescue Mario. There's one major problem with the game, which is the fact that its premise of Peach being able to use her emotions as weapons is arguably sexist, but to be fair, the powers are used in interesting ways (Joy gives her wind powers, which allows her to fly, spin windmills, clear the air, and get rid of clouds; Anger gives her fire powers, which can hurt enemies or burn wooden objects; Sadness lets her use her tears to grow plants, turn water wheels, make platforms icy, and run fast...for some reason; and Calm refills her hearts). I do know that, and I'm very familiar with why it's problematic. I just can't imagine how that many Nintendo execs all agreed that this concept was okay. Still, at least she got one game to herself. Maybe they figured that since she was the only one there in control of her emotions, it was okay? The game was obviously supposed to be Wario Land 5. It plays exactly the same as the Wario games before it. Her attacks and throws are just like Warios. Wario would have certainly been a better choice for such extreme actions. Who knows why it was changed to Princess Toadstool though. Maybe Wario Land 4 didn't sell so well, or it was easy to plunk her in the games role and give her a shot through an existing game program. I will point out that two of the three games you've listed feature heroic, playable princesses. So they’re calling them “Sprixies” instead of “Subcons,” but you guys see the resemblance, right? 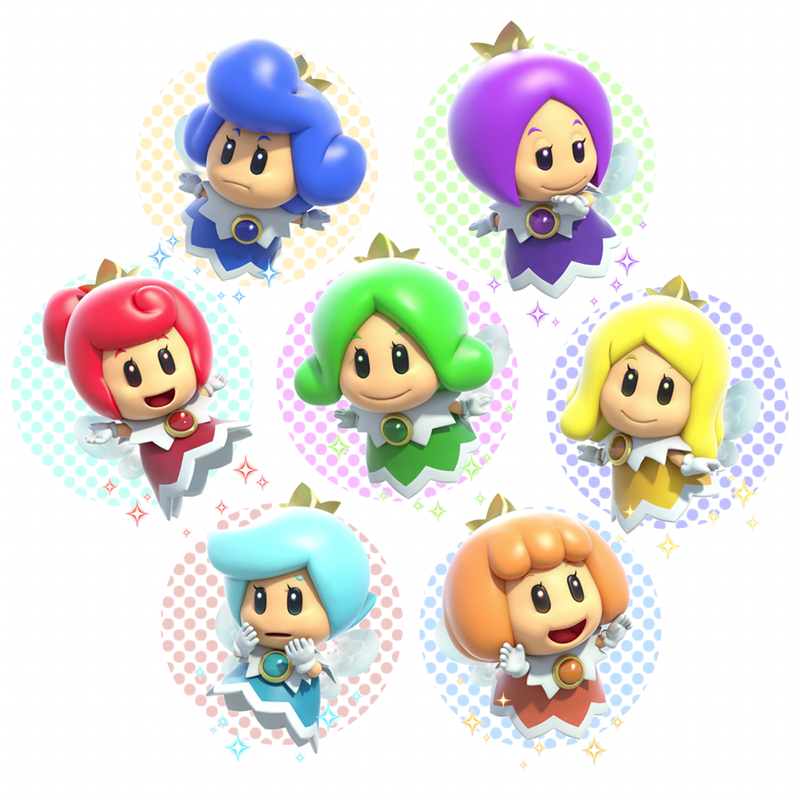 You know, if you can overlook that Nintendo has introduced a RAINBOW of FAIRIES to the Mario games? Oh, totally. Between the Subcons, the Pi'illo, and now the Sprixies, it seems Nintendo has a fixation on the things. Just make the latter related to dream/sleep, and it will be full-circle. SMB2 was not a real mario game, but a remake of a game that had nothing to do with mario. I know what you're trying to explain, but that's not entirely true. 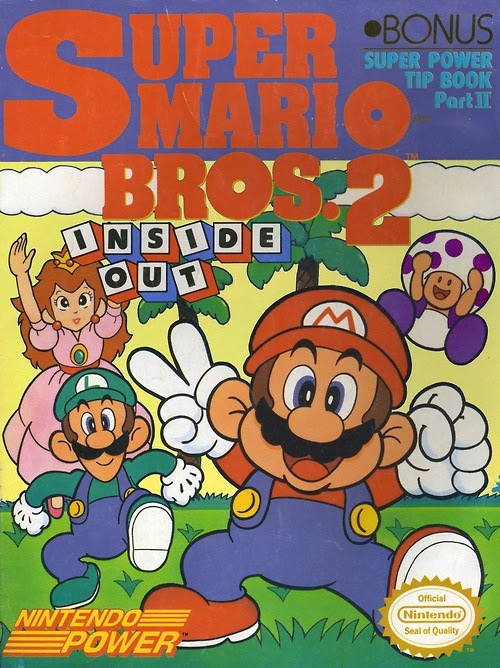 Miyamoto had more involvement with Doki Doki Panic than with the Japanese Super Mario Bros. 2. Some of those ties to the "proper" Super Mario series got baked in right from the start.